Please like and comment on this video. Subscribe to The Jam Company YouTube Channel for more interviews! Like, Share, & Post Comments on our Social Media Pages! Jenn Kidd Talks About Switching Careers, Helping Creatives, Akron Musicians + More. on February 4, 2019 February 11, 2019 By thejamcompany . Jenn Kidd Talks About Switching Careers at 40, Helping Creatives in a Music Venue, Great Akron/Ohio Musicians, Opening Up Her Vintage Shop + More. 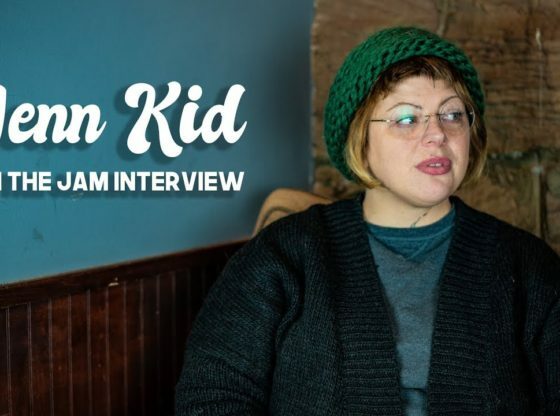 Jenn Kidd Talks About Switching Careers, Helping Creatives, Akron Musicians + More 02/04/2019. 10:55. 8. Anastasia Otto Moving from Russia, Passion in Radio + More 01/21/2019. 7:29. Load more ... Nefarious Cloud Talks Music, Society Woes, Fitting In, GrungeHop/BlackHop, and More 01/26/2018. Jenn Kidd Talks About Switching Careers, Helping Creatives, Akron Musicians + More. Next Tormenta de nieve en akron Ohio. Leave a Reply Cancel reply. My first race is here! | 2017 OMBC (Ohio Mountain Bike Championship) Dillon State Park RACE!